Are you looking for the best ways to obtain that beach body that you’ve always wanted? Staying fit and healthy is an essential part of any lifestyle. Fitness experts are constantly adding new trendy workouts to make daily exercise routines more challenging and interesting. The key to having a healthy attractive body is being enthusiastic about your workouts regardless of whether they involve running, walking, hiking or spending time in a gym. Consistency is important but can be hampered if the workouts are monotonous and dull. To counter feelings of boredom, here’s a list of some of the latest trendy workouts you’re sure to enjoy in any fitness center in Malaysia. HIIT or High-intensity Interval Training is a prominent feature of the fitness center Malaysia concept. It tops the list as one of the three most favored fitness trends for the past four years. It involves intense cardio exercises alternating with short breaks or less-intense activity. The workout depends on an individual’s fitness level but normally lasts for about 20-30 minutes. The HIIT workout is ideal for all fitness levels and can be modified for people suffering from obesity or diabetes. Boxing does not only help you to stay fit but it also serves to enhance your confidence and mood. It’s always been a popular fitness routine in any fitness center in Malaysia. This activity does not only involve facing a contestant in the ring but is performed in conjunction with different exercise forms like piloxing, boxerina, and box fit. This is the ideal choice for cyclists. 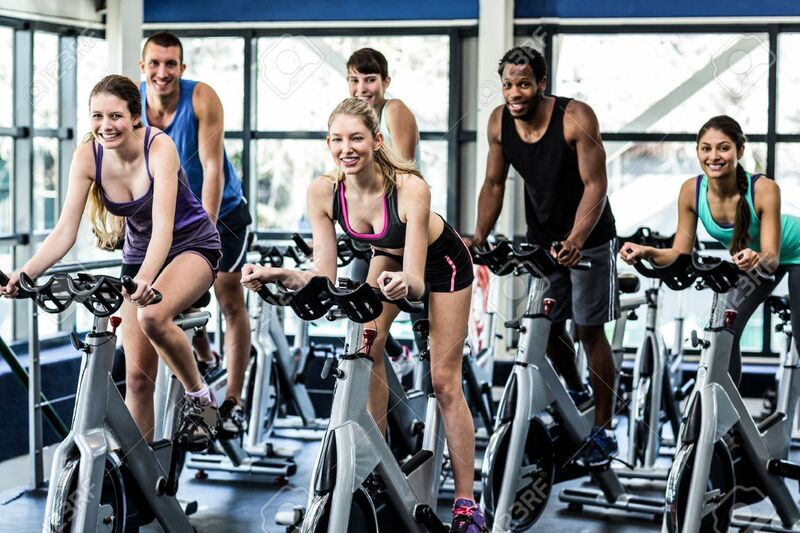 You can even do it indoors through the use of indoor stationary bikes monitored by a certified instructor. Participants receive instructions on resistance level, pedaling strength, move changing. There’s not much stress involved and is low-impact. Functional fitness exercises are as simple as they are effective. All you do is imitate your daily life movements like standing up when being seated, throwing, running, pulling your body up, picking things up, and so forth. Functional fitness emphasizes on using both the upper and lower body muscles simultaneously, strengthening your balance, agility, motion range, coordination, and stability. Although this workout has been around for decades and is also known as back-to-basics fitness, it has been upgraded with the addition of more appealing workouts. The main reason for its popularity is that it enables you to workout in any place with the least amount of equipment. Nearly every fitness center in Malaysia offers yoga workouts. This ancient mind-body exercise is performed in the traditional style of Ashtanga, Hatha, and Iyengar. modern routines include aerial yoga, restorative yoga, climbing yoga, and even hot yoga. Yoga is a particularly great exercise as it has other benefits such as lowering heart rate, reducing stress, decreasing blood pressure while all improving your overall quality of life. That’s not all. Yoga has also been known to help those suffering from insomnia, and depression according to these studies. Celebrity Fitness Malaysia, with 23 clubs around the country, offers you a wide variety of workouts to suit your preferences under the guidance of officially certified instructors. For more information don’t hesitate to check out our website.